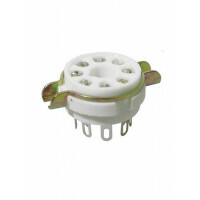 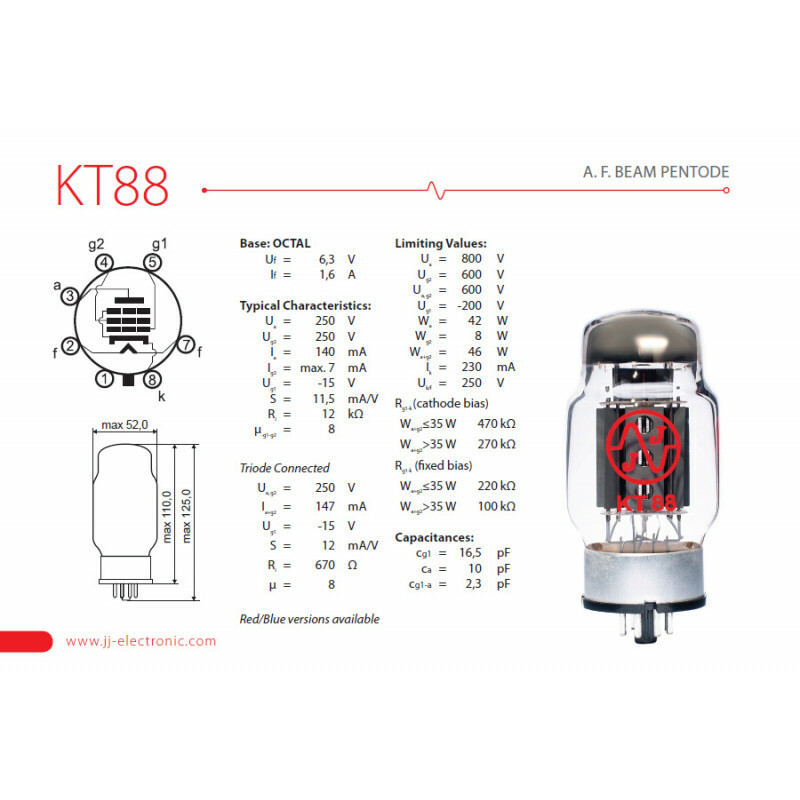 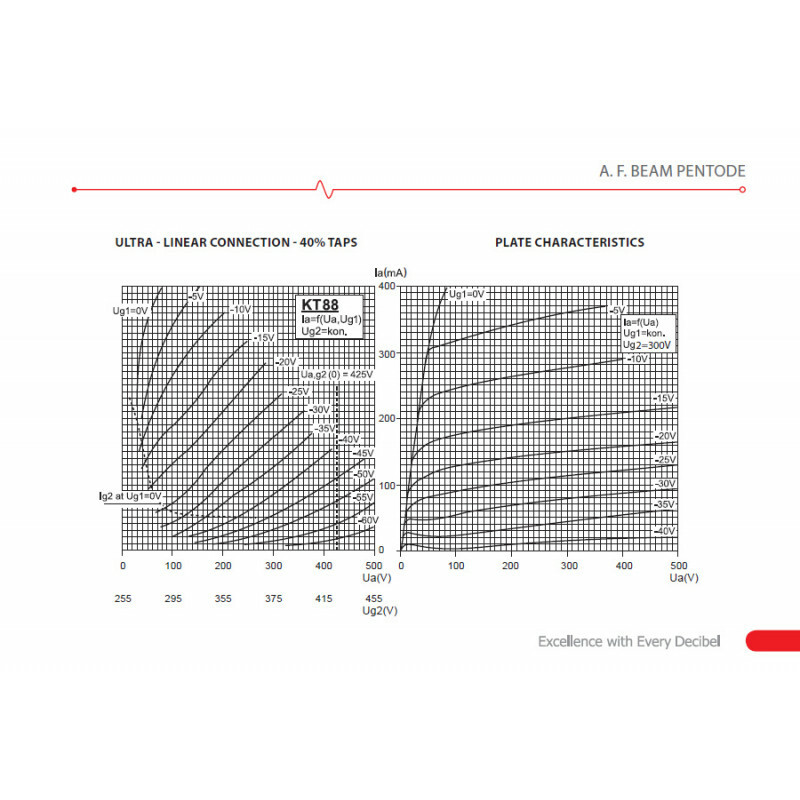 KT88 is a beam output pentode with an octal base and power of 42W. 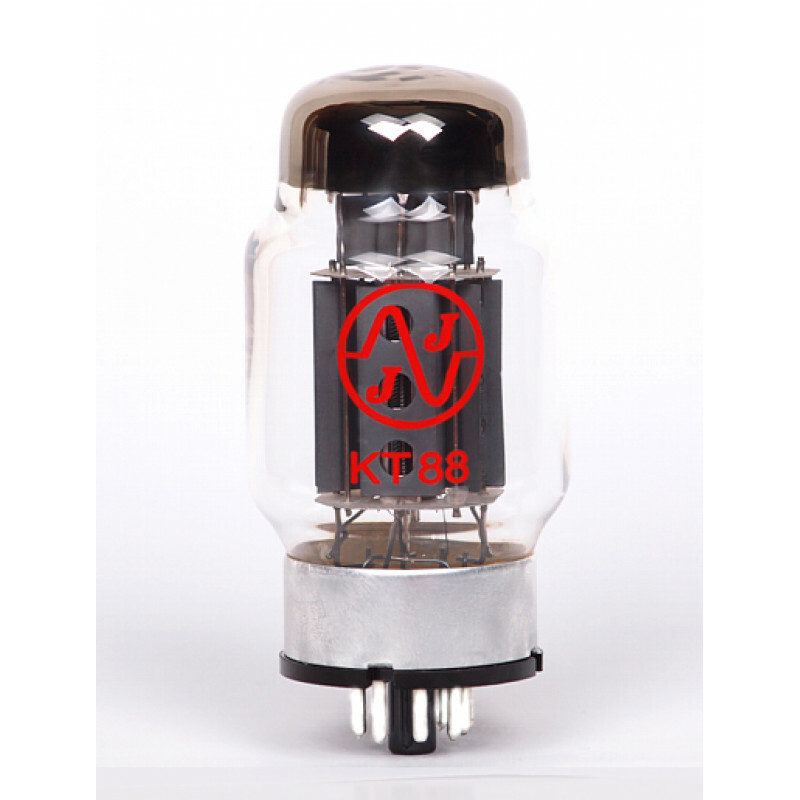 Very powerful, with strong bass and very bright highs. 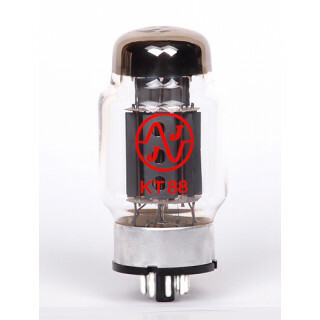 It can also be used in 6550 amplifiers.